Portfolio of Student Profile C.F. Project 1 - Hi I'm Catherine and I being studying web design since September 2012. This is the first website that I have created. 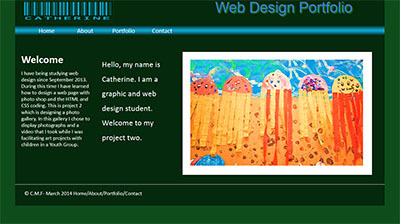 I learned how to design the layout, colour scheme and to write the HTML 5 coding for the website. Project 2 - This is my project 2 which is designing a photo gallery. In this gallery I chose to display photographs and a video that I took while I was facilitating art projects with children in a Youth Group. I learned how to create a slide show, photo gallery and to use vimeo to add a video to my website. This is my first blog using Word Press. I studied art in college and I love anything crafty and creative. For the last ten years I have being making handmade jewellery. 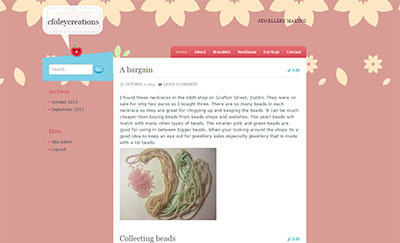 I created my blog as gallery of my handmade bracelets, necklaces and earrings. 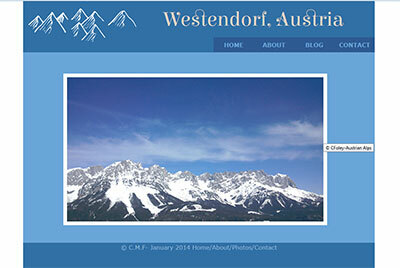 This is my first website that I have created for a client using Word Press. 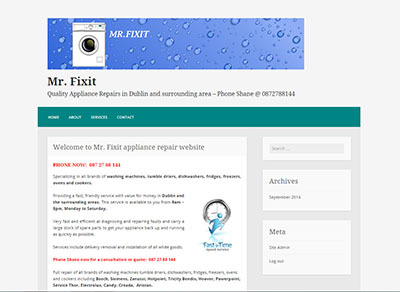 I learnt how to work with client and to figure out what kind of website and logo they were looking for. I used word press on-line to create it but I found that it was very limiting so the next time I would prefer to create my own theme and design.